Articles of 5,000-8,000 words on topics relating to research, libraries, archives and publishing in and on Africa, and in African studies, are invited. Find out more here or contact Managing Editor Stephanie Kitchen for further details, sk111(at)soas.ac.uk. This large and authoritative guide to works in African studies has been published under the auspices of the International African Institute annually since 1984. Compiled by Richard E. Bartholomew. About the compiler: Richard E. Bartholomew has a PhD in the Study of Religion from the SOAS University of London. He works as a book indexer and copyeditor, and he has published on religion and media. 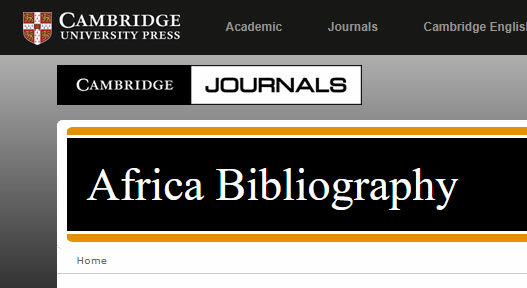 Africa Bibliography is published simultaneously in print and online editions. The online edition is a fully searchable database of both the current volume and past volumes. With user-friendly search functionality and links straight to the full-text of articles or library catalogues, the online version enables researchers to locate references quickly. Free trials and further information may be found at africabibliography.cambridge.org. The Africa Bibliography includes a wide range of material: monographs, chapters in edited volumes, journal articles, and pamphlets. 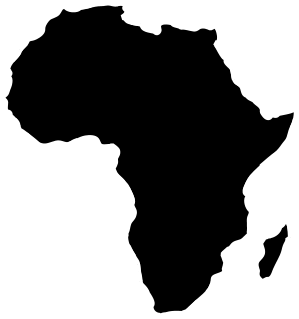 It covers all regions of Africa, including North Africa. It lists works published in English as well as a number of other languages: Portuguese, French, Italian, German, Swahili, Spanish and Afrikaans. The bibliography categorises by region, country and subject. It includes an author index and a detailed thematic index. Publications principally in the social and environmental sciences, humanities and arts, and some items from the medical, biological and natural sciences are recorded. The bibliography includes materials on Africa published in non-specialist scholarly journals, in addition to specialist Africa publications. As an annual publication, it records the previous year's published work in its field, with provision for retrospective inclusion of earlier items. Introductory articles: Articles on topics relating to research, libraries, archives and publishing in and on Africa, and in African studies are published with the bibliography. These are openly accessible here. Print and online only options are available. Read a review published in Reference Reviews. Read a review published by the Association of Southern African Indexers and Bibliographers (ASAIB). Africa Bibliography was recognised as the winner of the 2014 Conover Porter prize, which was presented during the 2014 US African Studies Association conference. The Conover-Porter Award is presented every two years by the Africana Librarians Council of the African Studies Association. The award recognises outstanding achievement in Africana bibliography and reference tools among works published in the preceding two years. View further details and a list of previous winners.